A combination of mystical features and an epic adventure in a game has always brought a fascinating experience, right? Ever thought of falling in a slumber only to wake up in the future? The first thing to expect is a totally different environment surrounded by great technology and upgraded. Apparently, the mind-blowing Tears of the Machine app game takes the setup of year 2085. The player wakes up in an unknown location after sleeping for many years. The memories are all lost except for a certain girl. As a player, one is required to embark into a mission of finding out who the girl is and unravel her identity. However, it is not a joyride when it comes to finding the girl in the Tears of the Machine. There are hostile and aggressive factions together with members from the Global Order Coalition who will stand on the way. 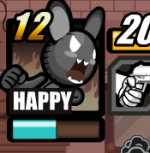 What does this imply? 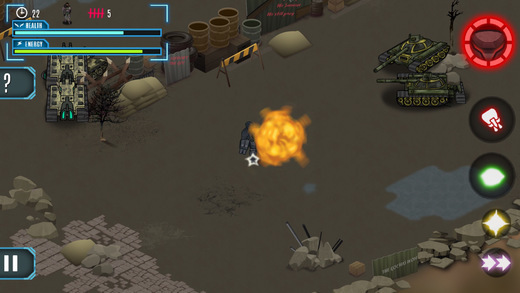 The battle will ensue as the player tries to fight through to make the mission successful. Actually, this is totally an epic and action-packed game that is a must-play for any ardent player! The first impression that the player gets from this game is its quality formation. Its 3D graphics are exceptional and the entire display makes the game worth playing. 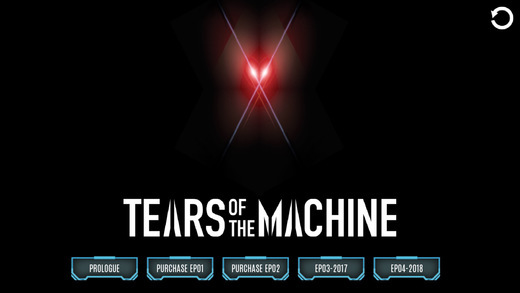 This newly released version 1.0 Tears of the Machine comes with two episodes that the player can enjoy. This includes the Power of Order and Dark Liberation. The player is introduced to the future setup after waking from a long slumber. All that the player remembers is the memory of a girl. The player needs to find her but there is great opposition encountered. For the player to make it through in the mission, there is need to keep the attacking enemies at bay or engage in a series of attacks. 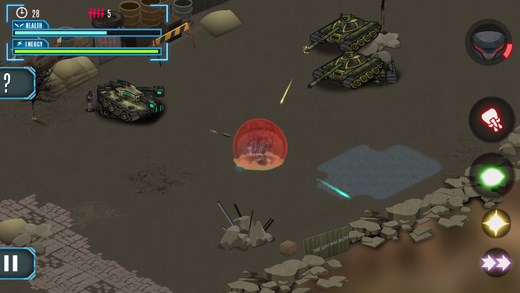 The story continues to unfold as the player overcome different attacks from the enemies. The epic adventure here is absolutely real and fascinating! With such a high quality formation for both the display and the graphics, this clearly indicates that this app will require a strong device to support its functionality. Currently, the user needs compatible platforms such as iPod Touch, iPad and iPhone. Besides, iOS 6.0 can also work well with this app. It is apparent that this game comes along with sophisticated weapons that the player can use. This is also the same for the different unique abilities that are displayed in the game. The unique design of the game allows the player to perfectly apply different combinations to come up with best that fits the style of play. Interesting, such features are available for the two episodes integrated currently. This feature is absolutely worth trying! This incredible game is absolutely action-packed, a feature that is evident once the player character gains consciousness from the slumber. As a player, one has to use skills and the weapons to fight the members from the Global Order Coalition and other fierce factions. The attacks appear to be endless and come from any side; thus the player needs to be quite attentive to an attack promptly. The better the player is at launching, the more the game unravels itself! This fantastic game has adopted a storyline approach when it comes to its gameplay The player is introduced to a set of episodes that have been uniquely designed. The game currently contains two modes; the Power of Order and the Dark Liberation. Besides, the developers have promised to update the game with more episodes in the coming future. Meanwhile, for now, it is just about enjoying these two epic episodes. How can the player unravel and discover new mysteries? This indeed can be achieved through exploring the entire world. This sounds quite challenging in this game, given that there are enemies all over the area. Apparently, the player can unravel different mysteries by collecting audio logs which can highly facilitate in such a mission. Besides, the experience is made much better using headphones. Why not try it out? The Tears of the Machine game presents an epic adventure, and yet quite mystical. The player is engaged in a series of action-packed missions. This is meant to help uncover the mystery behind the girl in the player’s memory. The journey to achieving the mission is encountered by challenges and attacks. Will the player ultimately survive the entire ordeal? Get into this game and help this mission to be well completed. 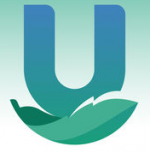 Download it for free on the App Store and get started now! 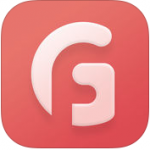 Gadget Flow – Grab Your Latest Gadget now ! SOS METHOD: MEDITATION- VANISH ALL YOUR STRESS AND WORRIES!